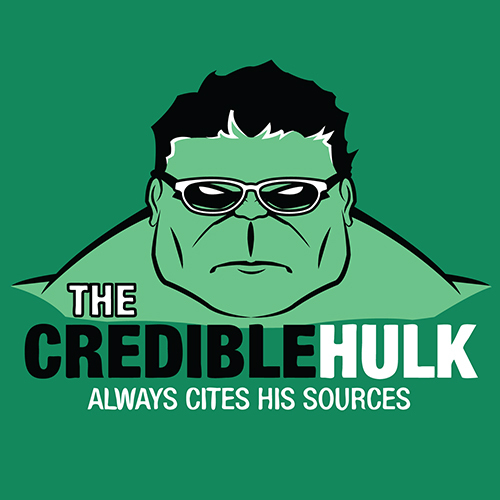 If you use someone else's words, or ideas, you need to cite/reference these. Proper citation is important to avoid plagiarism and the academic consequences that can arise from using other authors work without proper acknowledgement. It also supports and strengthens your argument, and demonstrates what you have read. Find out more about copyright and plagiarism on our website here. You can use the simple tools on this page to help you generate bibliographies and citations for a wide range of resources. You can also refer to your school diary under the 'Guide to References' page. An in-text citation is a short citation within the text of your assignment, after a quote or paraphrasing of another's work. Include: surname of author(s), year of publication and page number(s). Direct quote example: "Gaugin, the suffering artist, the victim of 'civilised society', has become one of the cultural myths of our time, the quintessential romantic artist" (Howard 1993, p.60). Paraphrase example: Howard (1993, p.60) argues that Gaugin is seen as the ultimate example of the romantic artistic rebel. A reference list is a list of full bibliographic details of all sources acknowledged in the body of your essay. This is placed at the end of your assignment and listed in alphabetical order (author's surname). Use capital letters only for the first word in the title, and any proper nouns thereafter. Make sure to put the title in italics, or underline if handwritten. Example: Howard, M 1993, Gaugin, Collins Eyewtiness Art, Harper Collins, NSW. A bibliography is a separate list of any other resources used in the preparation of your essay but not actually cited within the body of your work. This is the same format as a Reference List, placed at the end of your assignment and listed in alphabetical order (author's surname). See the guides and examples for various sources below. When do I need to reference/cite? When you are paraphrasing/summarising someone else's words. When you are using someone else's ideas or concepts. If it is common knowledge or your own thoughts - you do not need to reference. How do I know if something is common knowledge? Reference generators can be a useful tool for compiling a Bibliography. If you give them a website URL or a Book ISBN they will automatically generate a citation for you. Harvard Referencing Generator: Harvard Referencing Generator allows you to either enter an ISBN (the number under a book's barcode), a URL or choose the category of resource and enter in some basic information. The site will then generate a reference for you which you can save or copy and paste. This is a great, quick and simple tool for Harvard referencing of all types of resources. If you found the book you want to reference in the LRC, there is a quick and simple way to get it's citation. Login to the catalogue using you student number. If you do not have a PIN, leave this blank. Search for the book you need to reference. Copy and paste this citation into your assignment. Here are some examples of in-text and reference list citations for a variety of resources. Compare yours to ensure they're correct! Doss, G 2003, IS Project Management Handbook, 3rd edn, Aspen Publishers, New York. Laudon, KC & Laudon, JP 2003, Essentials of management information systems: managing the digital firm, Prentice Hall, Upper Saddle River, N.J.
Coveney, M, Ganster, D, Hartlen, B & King, D 2003, The strategy gap: leveraging technology to execute winning strategies, Wiley, Hoboken, N. J.
Shaw, MJ (ed) 2003, E-business management: integration of Web2, Kluwer Academic, London. Howard, S 1998, 'Verbal protocol analysis', in B Henderson-Sellers, A Simons and H Younessi (eds. ), The open process specification, Addison Wesley, Sydney, pp. 27-27. Karlof, B 2002, 'Benchmarking', in H Bidgoli (ed). Encyclopedia of information systems, Academic Press, New York, vol. 1, pp. 65-80. In-text The new shorter Oxford English dictionary (1993, p66) defines ‘amercement’ as. Reference list The new shorter Oxford English dictionary 1993, 4th edn, Oxford University Press, Oxford. Department of Foreign Affairs and Trade 2002, Connecting with Asia's tech future: ICT export opportunities, Economic Analytical Unit, Commonwealth Government, Canberra. Barker, G 2004, '$54m Deal To Heat Up Broadband War', The Age, Business, 24 February, p 2. Sold down the river 2003, television program, 4 Corners, ABC Television, Sydney, broadcast 14 July. Sangare, O 1997, 'Dugu Kamalemba', in The divas from Mali, (audio CD), Network Medien, Frankfurt. Track #10. Knight, W 2004, 'How to second guess the next hack attack', New Scientist, 24 January, p 19.